Good Morning and Happy Tuesday - I hope you're all set for the week ahead! 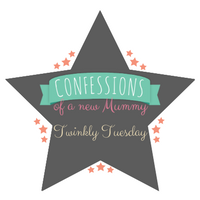 Today's Tuesday Twinkler is a post from The Next Best Thing to Mummy, who is talking about homework and ways we can help them with it. I'm lucky that my two are of an age where they are still keen to be learning and enjoy doing their homework -I know it won't last forever! Hi Kate. Joining your linky party for the first time. Posted the Romantic Mantle decor.